Lovely stuff Moby.. it's great to see a view of a city that is too often forgotten about! Would be great to see more of the city, if that's possible? Oh, and do you by any chance know how often you get cruiseliners into PE? No problem, but we don't have that many tall buildings, we are kinda a small city, what angles are you looking for, from the bottom up, like the Garden Court picture, on straight on the building. Have got a couple more pics, just got to resize them and upload them on my own site first. I have taken 8 pictures of cruiseliners here in the last couple of years, and I probably missed about 4 ships, so I guess we get about 6 a year. Good to see some pics of PE - thanks. Even though it's one of SA's largest cities we see very little of it. Oh and welcome to the forums! 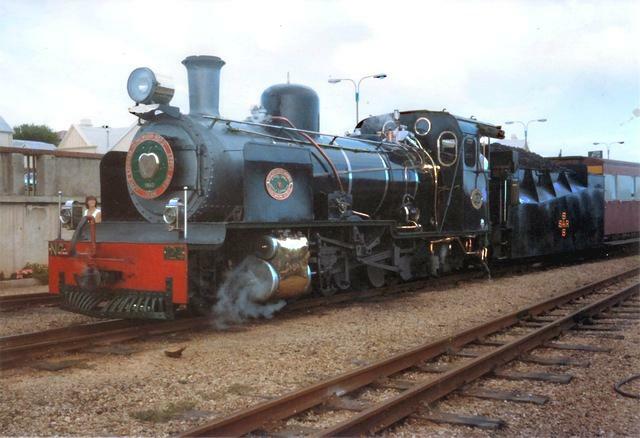 PE is also home of the famous Apple Express narrow gauge loco. 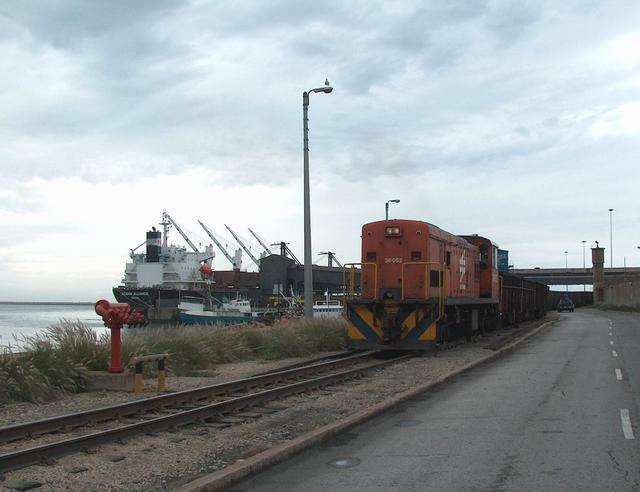 It goes over Van Stadens Bridge which is the highest narrow gauge bridge in the world. 77metres or 250 feet. It was built in 1904 and is still in use. MILES AND MILES OF ..... SWEET F*... UM ..TRACK? Thanks a million, Moby! Yes, do tell us a bit about urself in the Introduction thread and post some pictures of the CBD/downtown and waterfront, suburbs, etc. if possible. As you can tell, we're desperate for some Port Elizabeth coverage! As soon as the weather improves I will take some photos of the city, Sunday is a good day, not so populated. Whats the latest on the waterfront there.? they were going top move all those hideous tanks and have a wonderful set up. When they were going through the negotiations and trying to get support for Coega they said that one of the benefits of a new port would be the fact that the ore terminal and tanks would be relocated to Coega, needless to say, like everything else involving Coega it was total bs. Coega is a pet hate of mine, the whole thing stunk of corruption from the start, time has only proved that, just about everything Coega was based on was a pack of lies. I have'nt really kept up to date on the waterfront fiasco, my blood boils too much, at one stage they were going to sell it for a ridiculous amount to a developer, then discovered he had too many fingers in too many pies. then came the saga with the conference centre, then the pile of concrete blocks masquarading as a statue, and in between that removing the freeways and creating a canal system instead. Yeah right, can you just imagine a canal running right through the CBD, free running urinal, rubbish site, and various unmentionable things. Meanwhile, the road into PE from the north is a nightmare thanks to Coega, then you get the smell past Bluewater Bay, coming in from the west is not too bad but its boring, no welcoming signs or anything. Coming in from Uitenhage takes you past all the informal settlements and is downright dangerous. PE is a wonderful, beautiful city, if only our management could catch a wakeup and realise what is needed to improve the city, instead of worrying about improving their own bank accounts. Trust me when I say that any new major development here involves a kickback to one or more city officials. The whole management system needs a thorough investigation and it needs to be replaced by people who care about the city and its inhabitants, and I mean genuinely care. Hey, maybe I should run for office. I will keep you updated on anything new, I suppose sooner or later I have to read the paper. Read this in our free weekly paper The Algoa Sun today, unfortunately my son got hold of it before I could scan it, but its still readable. My apologies to the guy who asked how many cruise ships came here and I answered 6, seems I missed a hell of a lot more than I thought. I had a couple of really good laughs reading this article though, don't know who wrote it but he hit the nail on the head. Lovely pics. Could we have some more of the city itself? And the boardwalk development? I love locomotives. Seeing that, brought back nice childhood memories...You dont see them often in Cape Town nowadays. Last edited by Harkeb; January 31st, 2006 at 04:50 AM. A very nice port city ! Moby great to have you on board! Finally we are hearing something on PE! I'm always in intrigued by the proposals that come out of PE...but more often than not it seems the council is merely trying to copy what Joburg, Durban and CT do. I would love it if they actually did try and be original in a good way (not like the tower!). From a tourism aspect, they need to clean their act up a bit, do you think that the waterfront plans will materialise? anything else that us outsiders dont know about?